Welcome to Silverhill Webdesign, the people who bring you simple, easy to navigate websites with a personal touch. Whilst we don’t specialise in fancy, very expensive, highly interactive websites with complicated graphics, etc. we do create simple, easy to use fully functional informative sites that are easy on the eye and ‘do the job’ for small businesses, equestrian websites being not only our favourite but also our speciality. When all you really need is a presence on the web that looks good, lets people know what you do, how you do it and where you are, then Silverhill Webdesign can create just the right image you need at the best possible price. And what’s more, we can also do much of the photography that will be required for your website. 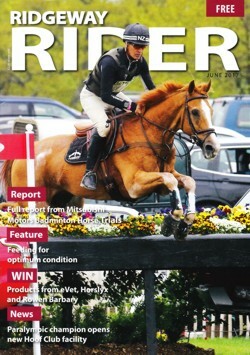 Under the name Silverhill Webdesign we supply pictures to such publications as Horse & Hound, South East Rider (Redpin Publishing) and Your Horse whilst in the corporate world we have customers such as Aldermore, Wow Saddles, Saracen Horse Feeds, Kanteq Body Protectors and Westgate EFI. As such, you are safe in the knowledge that you will be getting nothing but a high quality professional photographic service from Silverhill Webdesign. So if you have an small business and you would like to have a simple, good looking website (or already have one that needs a ‘refresh’) then call us on 07808 766914 or email websites@silverhillwebdesign.co.uk to discuss how to make it all possible.